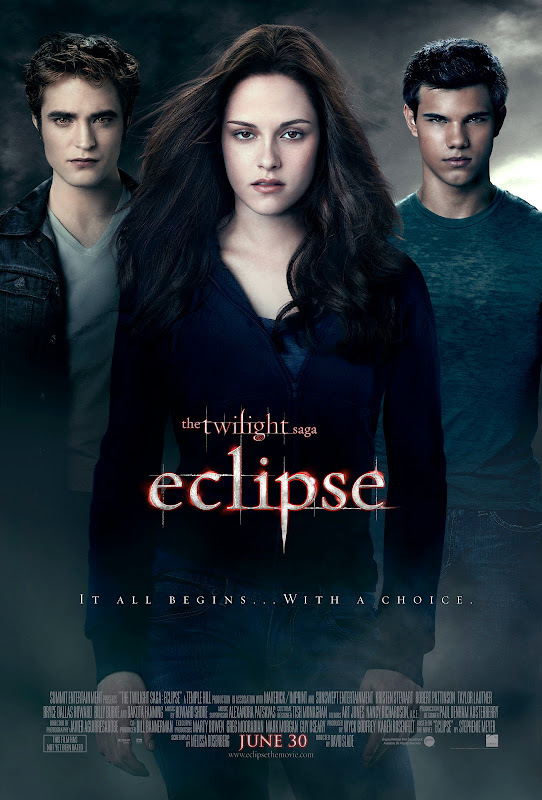 The Twilight Saga: Eclipse theatrical one-sheet was released yesterday afternoon. I’m really excited to see what they do with this film as I admittedly enjoyed New Moon but was thoroughly disappointed by Twilight. Since seeing the film, I have been team Voluri all the way so I will be looking out for the Volturi profiles which I hope will come soon. If you click on the image, it should take you over to Picasa where you can get the full sized theatrical one-sheet poster. Let me know if you have any problems as it is the first time I’m uploading with Picasa. That poster is great. When I clicked on it I was able to view it, but then when I tried the order prints button it came up with an error. Hi Twlight Fanatic! You can save the poster to your computer (or I can email it to you if you can't do that) but it is not one of my photos so you can't buy a print as I don't own the rights to it.